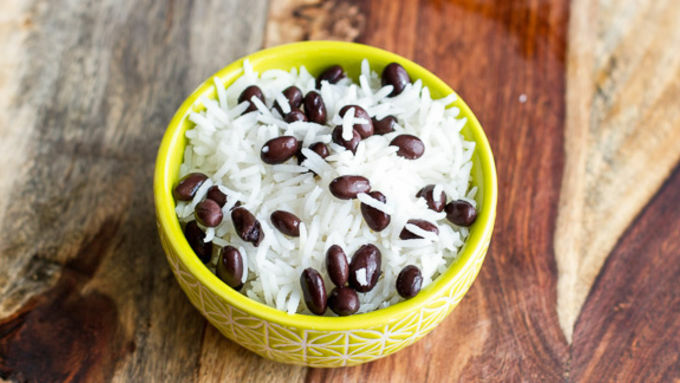 Toss the black beans with the rice. Set aside. Heat a medium skillet over medium heat. 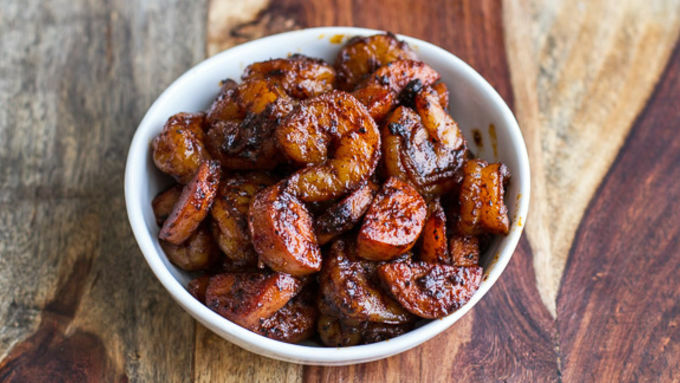 In a bowl toss the shrimp with 1 tablespoon olive oil, cajun seasoning, creole seasoning, brown sugar, paprika, pepper, cayenne pepper, thyme and soy sauce. Set aside. Add the 1 tablespoon olive oil to the skillet. Add the red pepper and saute for 3-5 minutes or until soft. 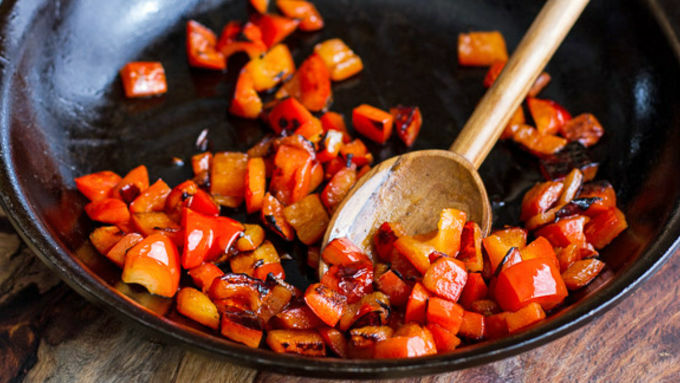 Remove the pepper from the skillet and set aside. Add the shrimp and any sauce that is in the bowl with the shrimp to a skillet in a single layer and sear for 3-4 minutes, flip and sear another 3 minutes. Add the andouille sausage if using and continue to cook another 3 minutes or until warmed through. Try not to over cook the shrimp as it will continue to cook in the quesadillas. To assemble and cook the quesadillas, heat an electric griddle or skillet over medium heat. Add a bit of olive oil. Lay a tortilla flat on a cutting board and cover one half of the tortilla with a bit of the cheese, then evenly distribute the rice and beans on top. Add the red peppers, shrimp and sausage. Then add the pickled jalapeños and sprinkle with a little more cheese. Fold the empty half of the tortilla over the filling. Repeat with the remaining tortillas. 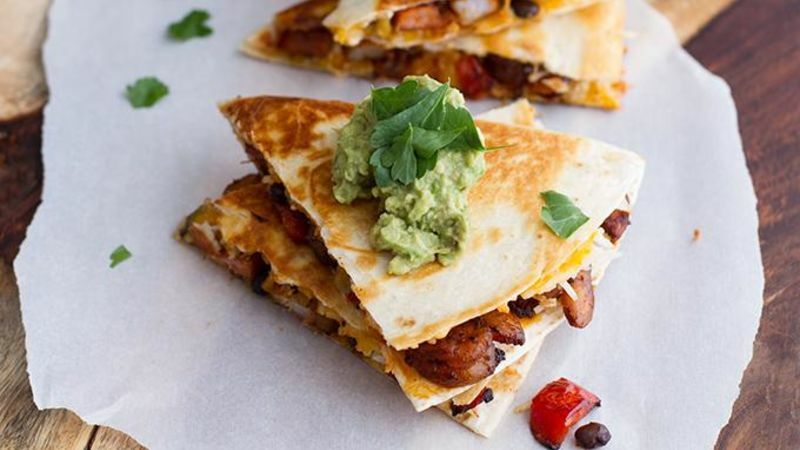 Working with one or two at a time, place the quesadillas in the skillet and cook until the bottom is crispy and golden brown, then gently flip and cook for another 2-3 minutes until crispy and golden. Repeat with the remaining quesadillas. Serve with guacamole and fresh cilantro or parsley. Love Cajun-inspired shrimp? Love quesadillas? Well, marry them into one beautiful, delicious, amazing meal. I am currently on a huge Cajun kick. I love the flavors, the colors and the overall fun Cajun food brings to the table. With spring drawing closer and closer, I find myself wanting to break away a little from all the stews and soups and start cooking up some quick and colorful eats. But of course I am keeping all the flavor – and most definitely all the cheese! Can’t live without cheese, if you ask me. These Cajun shrimp quesadillas are the answer to your dinner (or even lunch) blues. It's Cajun meets Mexican, and it is the best combo ever. These are the perfect example of quick and easy cooking. Winner, winner, shrimp dinner! If your family isn't into shrimp, swap in equal amounts chicken or beef. If you're going meat-free, try using chickpeas or more black beans. 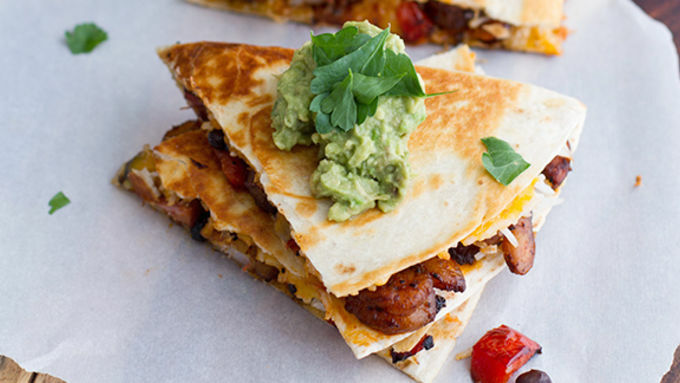 These quesadillas are meant for everyone, and everyone has to try them. Yes, they are just that good! Cut into wedges and serve with your favorite guacamole. Grab something fun to drink – and eat up!